Carrie Fisher’s untimely death shocked everybody, even those who weren’t huge Star Wars fans. She was someone who was known to almost everyone – being Princess Leia (now known as General Leia) will do that to a person – and we were all saddened to hear of her passing. 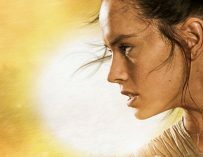 Naturally, with her reportedly playing a big part in Star Wars: Episode IX, people were wondering what would happen to Leia in the final instalment of this new trilogy. Colin Trevorrow was asked this very question in an interview with CinemaBlend, and he confirmed that Leia “was a major character” and that there were “only certain things” he’s “willing to do” with Carrie Fisher’s character in Star Wars: Episode IX. 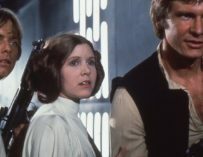 He didn’t give explicit details into how they would handle Fisher’s death in the movie, he did guarantee that they would approach her passing with “love and respect”. “I can guarantee it will be handled with love and respect, and all of the soul that Carrie Fisher deserves,” said Trevorrow. 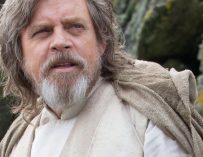 He went on to confirm that he hadn’t had the opportunity to work with Fisher on set and that Star Wars: Episode IX’s script hadn’t been finished before her passing. Kathleen Kennedy had previously confirmed in an interview earlier this year that Fisher wouldn’t be appearing in the final chapter of this new Star Wars trilogy. There had been talk of using CGI to bring her back to life, much like they did in Rogue One with Peter Cushing’s Grand Moff Tarkin, yet LucasFilm and Kennedy have decided against it. Fortunately, Fisher will play a big part in Rian Johnson’s upcoming Star Wars: The Last Jedi, and I for one cannot wait to see her in action. It will surely be a beautiful, yet unbearably sad moment, but one which millions of fans the world over will want to see for themselves. I can guarantee that tears will be shed. 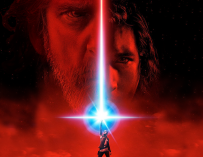 Star Wars: The Last Jedi will be in UK cinemas on December 15th. Have you booked you tickets?